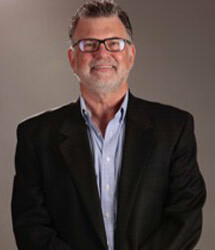 Richard Katz is the owner of a successful public policy and government relations firm based in Los Angeles, Richard Katz Consulting (RKC), Inc. RKC offers a wide variety of services, including strategic advice, message development, negotiations/mediation and government relations strategies. RKC brings a vast knowledge of all levels of government and can guide clients through the maze of both bureaucratic and regulatory concerns. In addition, they can develop, direct and implement a communications strategy to specific stakeholders. Targeting interest groups and helping clients gain entry into organizations, stakeholders and corporations through their vast contacts and decades of relationships is their specialty. In Jan. of 2003, Governor Davis appointed Katz his Senior Advisor on Energy and Water issues. In 2001 Katz was appointed to the State Water Resources Control Board, confirmed by the Senate and served for six years, occupying the water quality seat. Katz was first elected to the California State Assembly in 1980 and served continuously for 16 years. As Democratic Leader in 1995, Katz led the Party back to majority status by winning 43 seats in the 1996 elections. California’s term limits law prohibited Katz from seeking re-election. For 10 years, Katz served as Chair of the powerful Assembly Transportation Committee. Katz authored Proposition 111, a 10-year Transportation Blueprint passed by the voters. He created the Congestion Management Plan, requiring cities and counties to measure and mitigate impacts of land use decisions on their streets, highways and transit systems. Katz also spearheaded numerous investigations of governmental waste. In addition to serving as Chair of the Transportation Committee, Katz worked in policy areas including education, environment, criminal justice and consumer issues. Some of his accomplishments include laws he wrote dealing with prison reform, groundwater protection, computer education, a $100 million school bus replacement program, Mono Lake restoration and landmark water market legislation. A native of Los Angeles, Katz lives in Studio City with Wendy Mitchell, their 6-year-old son Mitchell Robert and their two dogs.